I am home early from my technology training tonight, and my brain is on overload! 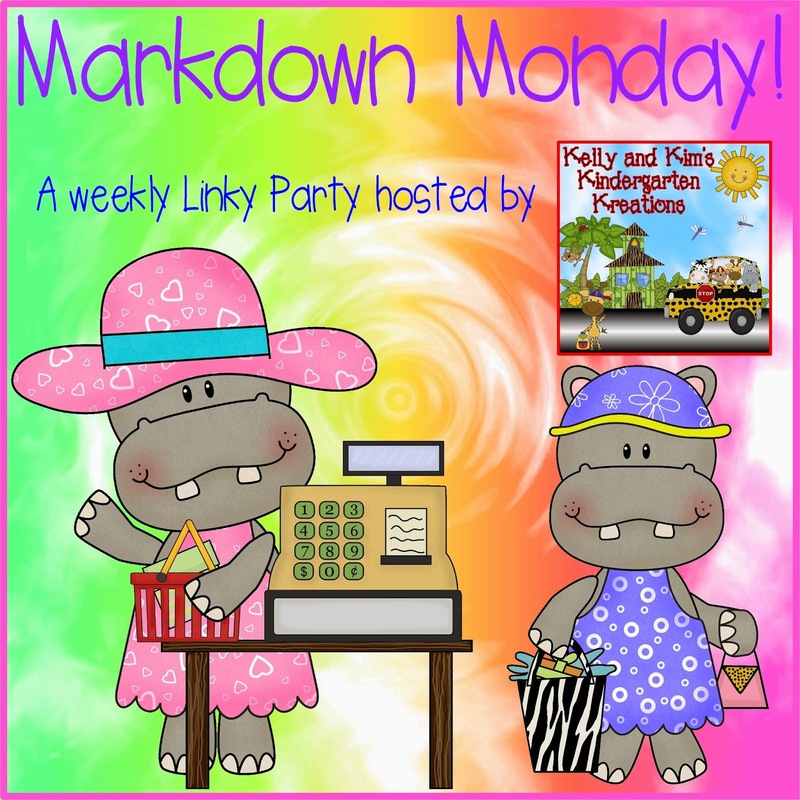 Before I rest a bit though, I thought I'd finally link up with Kelly and Kim 's Kindergarten Kreations for their Markdown Monday party! My newest resource will be $1.25--HALF OFF--through this Friday, Oct. 24th! It was great fun to create, and reinforces parts of speech, reading, writing, and visual discrimination skills. Students will use the picture clue cards that feature seasonal Melonheadz' Stringbeans to solve the riddles, and highlight nouns, verbs, and adjectives they find in each sentence. There are also templates included so students can create their own riddles for a friend to solve! I tried to provide a variety of activities that honor many different learning styles all in one literacy pack! Click the product picture above to see it in my store! It features Lucy Doris and her Melonheadz family! Kelly and Kim's Kindergarten Kreations! Have a fabulous school week! Thanks for stopping by!